10 count vial of Extra Strength Tylenol. 500 mg each. Pain reliever. Fever reducer. 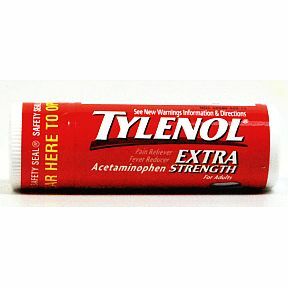 Acetaminophen. For Adults.